The first thing you notice about Botanica Luxury Villas is the bespoke designs and large usable areas that range from 265 to 700 square meters. In a world where spaces seem to be getting smaller, the large open plans of the villas exude class and sophistication. 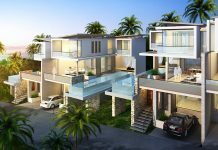 Owning one of the most desirable addresses in Phuket, the Bangtao/Laguna neighbourhood, no expense has been spared in the development of Botanica Luxury Villas. The 21 elite residences are custom built meaning you aren’t buying a unit, you’re buying the villa of your dreams. Each villa at Botanica Luxury Villas centres around a natural stone-tiled swimming pool that serves as the pièce de résistance to the free-flowing floorplan. 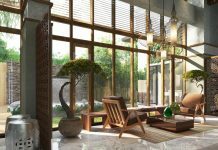 The vaulted, teak wood ceilings create an elegant and authentic look throughout the villas while the concertina glass doors and transom windows above the doors add light and a positive feeling to the main area of the home. To celebrate the idyllic outdoor ambience of Phuket, the eaves have been overextended to create an added lounge or dining area on the terrace which is supported by striking pillars. The grand tile flooring in the front room matches that of the terrace for a seamless transition to the outdoors that maintains a luxurious appeal. Situated in the secluded Bangtao/Laguna neighbourhood, those staying at Botanica Luxury Villas can enjoy having numerous family-oriented activities a short drive away. 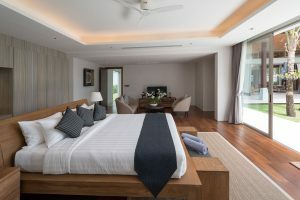 Additionally, there is a beautiful eight-kilometre stretch of white sand beach nearby where you will find boutique shops and restaurants that are among some of the most popular in Phuket. 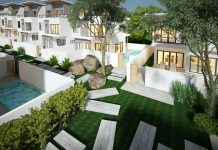 For the investor, a home at the Botanica Luxury Villas can guarantee five years of rental income through short term holiday lettings. With tourist arrivals to Phuket continuing to increase, this presents investors with a great opportunity to strike while the iron is hot. Guests staying at the estate will have access to a reception office and a café at the main entrance that will be operated by an established tour operator who will also manage all aspects of holiday rentals. This provides an effortless return on the investment. AAP Architecture is the firm behind Botanica Luxury Villas. The developer has been developing private homes on Phuket for more than 12 years and applied its architectural genius into creating a sanctuary living environment filled with calmness and mountain scenery. 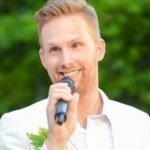 The result is a project investors and guests will love. 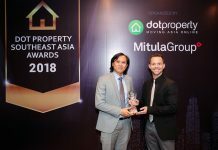 Congrats to Botanica Luxury Villas for winning Best Luxury Villa Development at The Dot Property Thailand Awards 2017.